Collecting Blythe has led me down the path of collecting other dolls. People in this community have influenced me in a variety of ways, being able to see other types of dolls beyond Blythe (and Middie, and Petites) has led me to acquiring an assortment of dolls. From the more commercially-available standpoint, I have some Monster High dolls (5 out of the box, 2 NRFB) and a My Little Pony Equestria Girl doll (still in box…). What I would love to eventually do is get the rest of the MLP girls to complete the ‘set’. 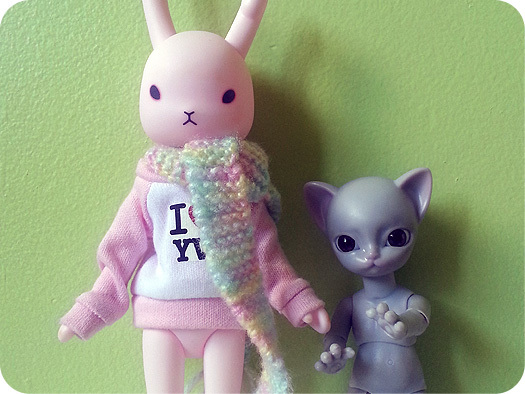 Who do you have in your doll family that’s not a Blythe? Another doll love besides Blythe. Besides Blythe, I am collecting all the Sailor Moon Pullip dolls. I have a regular Pullip too and other dolls from Groove: Dal, Byul, Little Pullip, Little Dal, J-doll, and Ai-doll. I have a Dollcena, a Coco Doll, Heroic Rendezvous, and Tangkou. I have recently completed the Disney Animator’s Collection and have a couple of other Disney Princess dolls. Of course I own a few Barbies, most of them from my childhood days. In my doll family you will also find: Monster High, Lalaloopsy, BFC Inc, Moxie Girlz, Moxie Teenz, Bratzillaz, LaDeeDa, Liv, Strawberry Shortcake, Little Miss Matched, and Distroller. 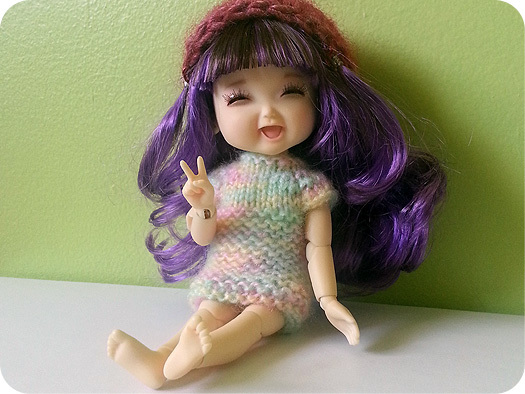 My most recent acquisition is a 24 inch bjd from Dream of Doll. 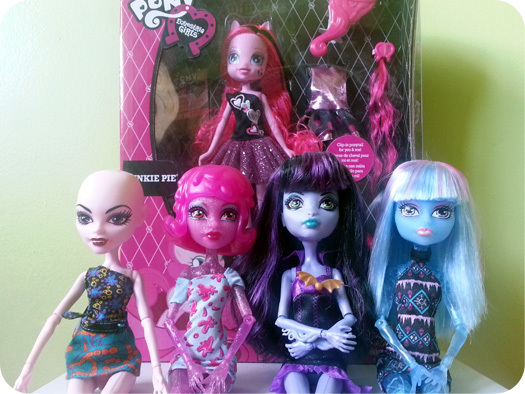 Besides my blythe, I also have 2 monster high, a couple barbies, a Jenny, and my favorite besides my blythe, a Fulla doll.